Sometimes the joy of home making is the chance to get creative. The very material you use for a beautiful no-maintenance artificial grass can have a dearth of other more unusual uses you may not have considered before. Footy season is just around the corner. Why not theme your next sport-watching event by imitating the pitch on your table? A 12-foot long artificial grass can make an original table runner. Or you can go the whole hog and create a custom-sized tablecloth of artificial grass. Do you have a terrace or balcony? Why not give it a more outdoor feel by carpeting it with artificial grass? Better yet if you have space for a rooftop garden, give it the true garden feel by installing a layer of artificial grass. Artificial grass perfect to give you an outdoor feel. Any golf fans at home? You could set up a private putting area. It can be tucked away in the basement or spare room; simply set up a patch of lawn and measure out a hole and you are good to go! 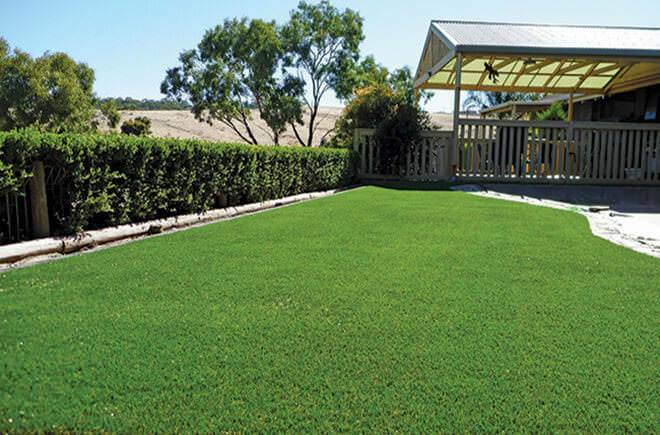 Turn your yard into a putting green with artificial grass. Reduce the slippery surfaces around the outdoor pool by setting up turf around the perimeter. Then you can splash all you like without worry about mopping up afterwards! 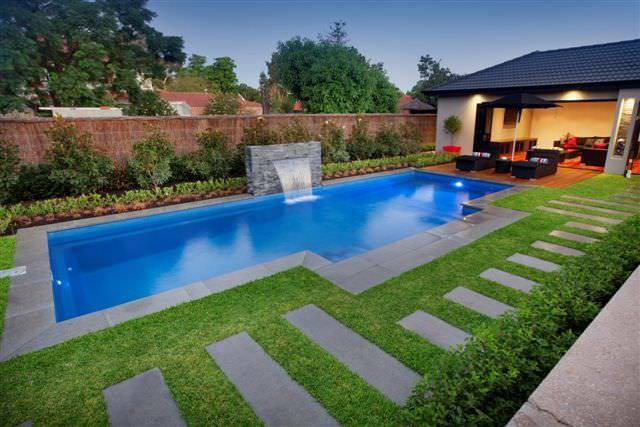 Artificial grass is perfect as a surround for your pool. If you have a play set for your kids in your backyard, setting turf underneath will make the area safer – or at least minimize any inevitable mishaps. It will also help to give some traction to hyperactive kids so they will have less falls (at least that’s the theory!). Cover the kids play area with artificial grass. Make a day of it and build a camouflage tree house or fort out of turf. What kid won’t want to brag about their new covert operations hidden in plain sight? Do you have a rabbit, dog, parrot, or snake? Any pet would love to have artificial grass to cushion their crates and lay down on when they have to rest up. If you want to get really creative, go all out. Make an indoor garden by lining the walls, floors, or ceilings to really create that green feel. If that’s too much, design a mural with the grass sectioned along one wall. Or simply accent the room with patches of turf on the ceiling fan panels, the lampshades, covering a chair, or as a background for a water element. Lastly you can use your artificial grass as … an artificial lawn. An easy, eternally green, mud-free, and maintenance-free solution to lawn care! Replace your natural grass with artificial grass.